This is the third in a three-part blog series on how to get your small to medium-sized business setup on Asana. 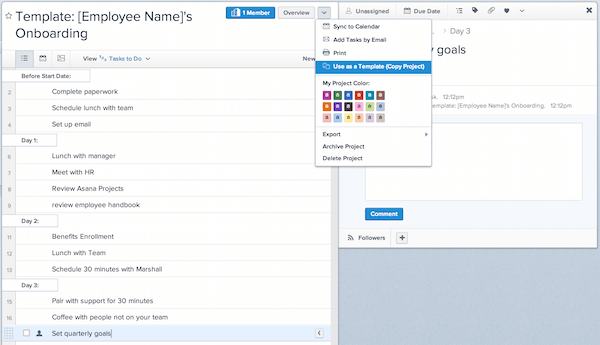 In this post I’d like to outline how you can take team work to the next level using Asana. If you haven't already, be sure to go back and check out the first two blog posts. » Why You Should Run Your Business with Asana. » Step-by-Step: Moving Your Company to Asana. To kick things off I'd like to cover some common mistakes that you may find people making while using Asana. It's important to plan for these so that you can ensure they never happen in the first place and help transition your team mates over to Asana. Without a doubt the most common mistake I see people making is not using “My Tasks” correctly. People will get assigned work and leave them in the “New” section of My Tasks and won't move them to one of the appropriate sections; Today, Upcoming or Later. This results in a long and unstructured list of tasks that need to be completed and can lead to overwhelm. Mark for “Today” if you plan on doing it today. Mark for “Upcoming” if it's due within the next week. Mark for “Later” if it's due in more than a weeks time. This system only works if you have due dates attached to tasks, otherwise the tasks you mark for Later that don't have a due date will never show up in Upcoming or Today. Therefore it's good to get into the habit of adding due dates even if there isn't a set date it has to be done. Work out when you'd like to have that thing done and give it a date. The benefit of doing this is that anything in Later will automatically get moved into Upcoming when it's due within 7 days. And of course anything that's due today gets automatically moved into the Today view. When you have due dates on your tasks like this you can literally open up Asana in the morning and look at your Today view and see everything you have to get done that day. No more time wasted planning at the beginning of the day working out when you're going to do what. Instead you can get straight into doing the work that needs to be done. The other mistake I see people making is not archiving notifications when they've been dealt with. This results in a long list of messages in the inbox that don't need to be there and can cause confusion over what actually needs to be dealt with. When you receive a notification, make sure you click the X to archive it once it's been dealt with. This keeps the inbox clutter free. Don't worry – if you ever need to recover a message you can always push it back to the inbox from your archive. The other important inbox feature to take advantage of is to turn off email alerts. This helps ensure you're not double handling notifications in your email inbox and Asana inbox. 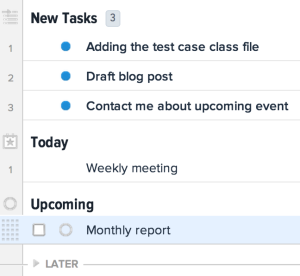 For some reason a lot of people create a “To-Do List” project in Asana. There's nothing technically wrong with doing this, but it's neater if you can keep everything in the My Tasks section. Remember, anything that's added in here that's not in a project is private and only viewable by you. This is a great place to add any one-off tasks and smaller jobs that don't fit into a particular project. Now that you've successfully moved your team to Asana and everyone's using it correctly, it's time to step things up and go pro! 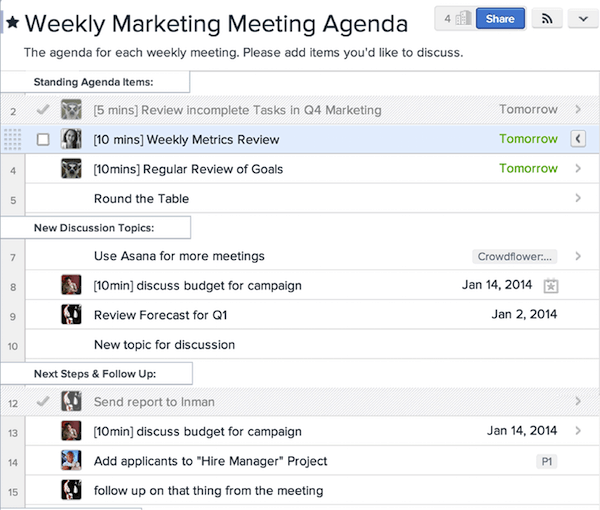 Using Asana to plan and run meetings is one of the best things you can do to make meetings more productive. Have a meeting coming up? 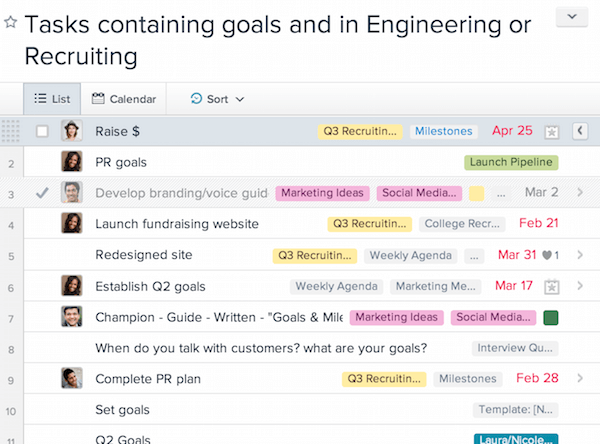 Why not create a fresh project and lists the discussion points as tasks in Asana. Invite the people attending the meeting to contribute to this project and they can drop in their own ideas. Don't forget you can assign tasks to more than one project, so if there's something you'd like to talk about related to another topic you can add this to your new meeting project as well. You are going into the meeting with a proper agenda vs. just having a vague idea of what you need to talk about. It keeps the discussion focused on the tasks at hand. No more drifting off on tangents that don't matter. You can create new tasks if you think of new ideas or things that need to be done after the meeting. You can then assign these tasks to the relevant attendees so that everyone knows who's doing what after the meeting. After you run a meeting like this, you'll never go back! Setting up project templates is a really handy way of saving time for those recurring projects. For example, at Mighty Ape we attend expos and trade shows numerous times throughout the year. We now have a template that outlines everything we need to do to plan and put together a show. It's a project with literally hundreds of tasks which include everything from planning, promotions and stuff we need to do at the show. So when it comes time to plan a new show, we duplicate the template, add due dates and assign the tasks to various people. Then there's no confusion over what needs to be done and who's responsible for what. As the project manager, the calendar view was really useful to see when certain tasks were due. I could then message the appropriate people for updates and to see how they were going with their tasks. We're now at the stage where almost anyone can lead this project by using this template. One of the other key advantages of using templates like this is that assuming you set it up well, you can ensure nothing gets forgotten. So there's no risk of us getting to the show only to notice we don't have any float for the tills. I recently rewrote my job description along with my manager. When writing the description we identified 3 key areas of responsibility that I have. I then created three projects in Asana that correspond to each of these three areas. When we work out what I need to be focusing on, I can create tasks and add them to the appropriate projects. This is really handy when it comes time to review my performance or have a one-on-one meeting. We can literally click through the projects to see what I've achieved and view everything that still needs to be done. Since setting up these projects, I've had a lot more clarity around what I should be doing and I've been much more focused on the right things. For managers, I highly recommend you use projects like this with each of your employees. It works best when an employee has specific areas of responsibility that no one else has. As an employee you could set up these projects on your own and really impress your manager when you have your next one-on-one meeting. When they ask: “how's is going?” you can open your projects and show them. Incomplete tasks I've assigned due today. Incomplete tasks I've assigned due within the next 7 days. Completed tasks due within the last 7 days. Tasks tagged with “High Priority”. My incomplete tasks due within the next 7 days. My tasks tagged with “Work in Progress”. My tasks tagged with “Waiting”. Tasks created by [MANAGER] due within the next 7 days. Create a “Waiting” section to identify tasks where you're waiting for a reply from someone. Create a “Next Actions” section for any smaller tasks that you can do when you have a spare minute. Create a “This Week” section for tasks you plan on getting to this week. Create a “Next Week” section for anything you're going to come back to next week. This keeps the tasks you're working on this week separate from next week. These are just some of the sections I've used. You could also have sections for “Follow Up”, “Read”, “high Priority” or what ever you can think of. If you're using Asana within your company then I'd love to hear from you. Let me know how you're using it in the comment below. In particular I'd love to hear it went getting staff trained up on how to use Asana. Or if your company or team isn't using Asana just yet but you're thinking about giving it a try, be sure to head back to my previous blog posts to see how you can get started with Asana. Let me know how you get on and feel free to reach out if you have any questions. UPDATE: I'm now offering Asana Consulting services, so if you are just getting started with Asana and need some help setting up your account and training your staff, be sure to get in touch!